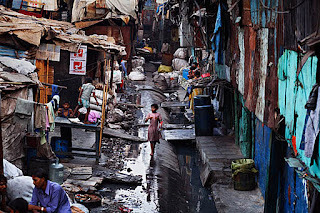 poverty is one of the biggest problem of India and this problem had created several very big problems for the country many Indians are not even getting normal life style. The rich people of India are famous in the world because they are from one of the most richest people on the earth and the people who are living life below poverty line we can't imaging the pain of their life. now hear comes the list of top 10 causes for poverty in India. India is seventh largest country in the world according to the area but 2nd largest in the population and their is not a big difference of population in first China and second India. due to a very big amount of population we are facing the scarcity of resources and we cannot feed population in a proper way. The demand of goods is always greater then the availability or production in our country. Agriculture is the very old tradition of our country but now we are not able to produce the amount by which we can fill the stomach of all the Indians properly and the main reason for low production in agricultural field is use of old agricultural technique, no proper capital investment, no proper irrigation facilities etc. We are even not optimizing the resources which we are having properly our young and innovative youth is seeking jobs but not finding the appropriate packages many proper graduated and hard working people are not getting appropriate jobs so they are migrating to the foreign countries and we are loosing an innovative Indian. The rate of development of our country is low as compared to other nations and we are not growing at a proper rate. Our growth rate is less then the required levels and this developed a gap between level of availability and requirement of goods and hence the result is poverty. The rise in prices of a common man's basic needs had made the life of a common man difficult and this makes very difficult to meet the minimum needs for lower income groups. The number of unemployed Indians is continuously increasing and thus creating an army of unemployed Indian youth. The number of job seekers is increasing continuously but the job opportunities are not increasing at the rate at which should they increase and the result of this is poverty in India. For boosting up the growth of the country these two things are must and the major problem is that we are lacking in these two things and hence the result is inappropriate growth rate of our country. Today in 21th century also we are socially backward as we were 100 years ago today we use to discuss about the casts, religion etc of each other we don't think about of working together. Corruption is one of the biggest problem of our country and is one of the biggest reason for poverty in India the corrupted leaders etc had eaten up all the money of our country. The development plans in India are made with a favor that the people who are making the particular plans should also get the benefit and profit from the development plans why don't they think that the development plans are made for the people who are underdeveloped not for the one who are living luxurious life. You and Your website seem very yummy!!! I love chocolate! your points are the supported with facts and figures. nothing but a bluff. "India Untouched - Darker side of India " 4 VIDS India's hidden secret for centuries. "Untouchability - Dignity for All ". It took 4 Years to shoot and 25000 km Journey to Complete the Mission of finding TRUTH. I had gone through the videos they had thrown the light on the reality of the country that what the problems the people are facing just on the name of cast. thank you, the points are well made. just improve the english to give them more power So where are we. We’re in a roomful of innovators, creators, humanitarians, artists, renaissance men, AND women, business leaders, philanthropists, ideas. We’re at a pitoval point, in human history. We’re at the cusp of a paradigm shift. Where will that paradigm land… Will it be a cooperative utopia where everyone works together, like Star Trek? Or will it be a selfish greedy wasteland like the Fallout games? I don’t want to get too political but those options are basically Democrat and Republican, respectively. Friends we need a huge number of supporters so click on "like" button to support us. Petrol is cheap at the time of elections. Content on site Protected via copyright act.In case please view disclaimer.. Simple theme. Powered by Blogger.